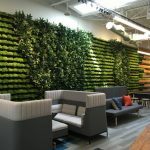 A growing, high-tech R&D startup company specializing in helping athletes maximize performance gets a headquarters that matches its efforts in wellness, technology, and sophistication…. A look into how a leading coworking space in the Netherlands is spreading its wings throughout Europe by fostering a ‘coworking vibe’ with benefits and new capabilities. JLL’s Dr. Marie Puybaraud shares five ways to make like a small startup and master big ideas—and execution.